On Monday morning, Michael “Doc” Janssen, a former world champion offshore racer and a world-class surgeon, sent me a text message regarding the triumphant victory that led to the Marker 17 Marine team claiming the Superboat Vee world championship at last week’s Super Boat International Key West Offshore World Championships in the sunny South Florida destination at the end of Highway 1. The Marker 17 Marine crew chief this year, Janssen, who built and raced the team’s single-engine 29-foot Outerlimits under the Snowy Mountain Brewery moniker for several years alongside Brian Forehand, owner of Marker 17 Marine in Wilmington, N.C., was clearly proud of the team, especially Forehand and rookie throttleman Vinnie Diorio of Wisconsin. As I read the lengthy message, in my head I could hear Doc’s booming voice, especially the passion in which he describes boat racing, more importantly victorious boat racing. Intermixed with the preparation for Sunday’s final double-points race, the team decided to take a slight break and host a party in the pits on Saturday afternoon. Janssen said the party was held in honor of offshore racer and Outerlimits owner Joe Sgro, who died on November 9, 2017, in an accident during the Key West Poker Run, and Mike Fiore, the Outerlimits founder who died on August 26, 2014, three days after surviving an accident in the Lake of the Ozarks Shootout in Missouri. Janssen also shared the same news Diorio told me on Sunday after the races—that he and his longtime girlfriend, Danielle, got married amongst friends and family on Saturday afternoon. 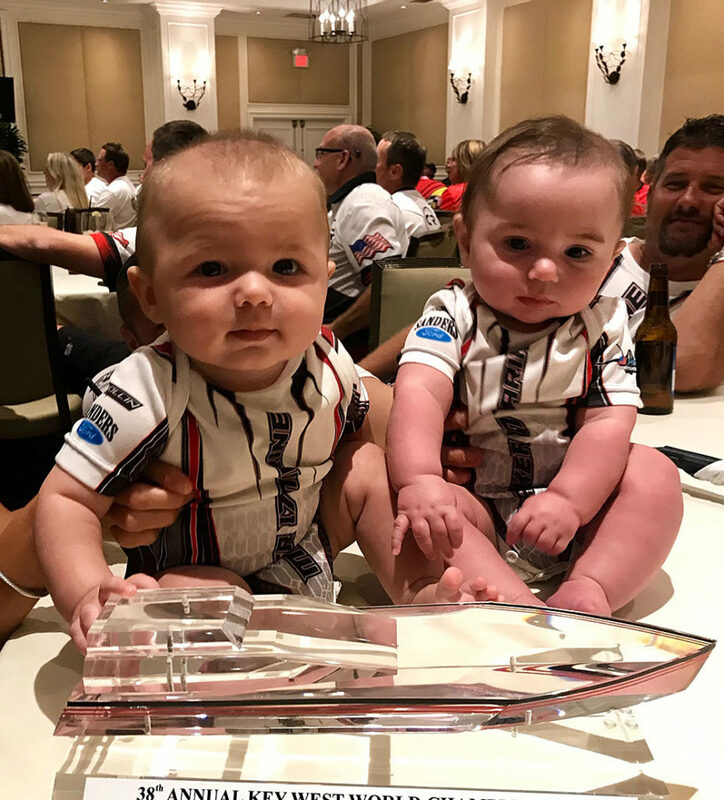 “Vinnie disappeared to get married in Key West and he immediately came back to the pits, changed clothes and went right back to working with out team,” said Janssen, who seemed as proud of Brian and Vinnie and as they were of their two infant sons, Brian and Vincenzo, aka Little B and Little V, who were in little matching Marker 17 Marine jerseys most of the week. 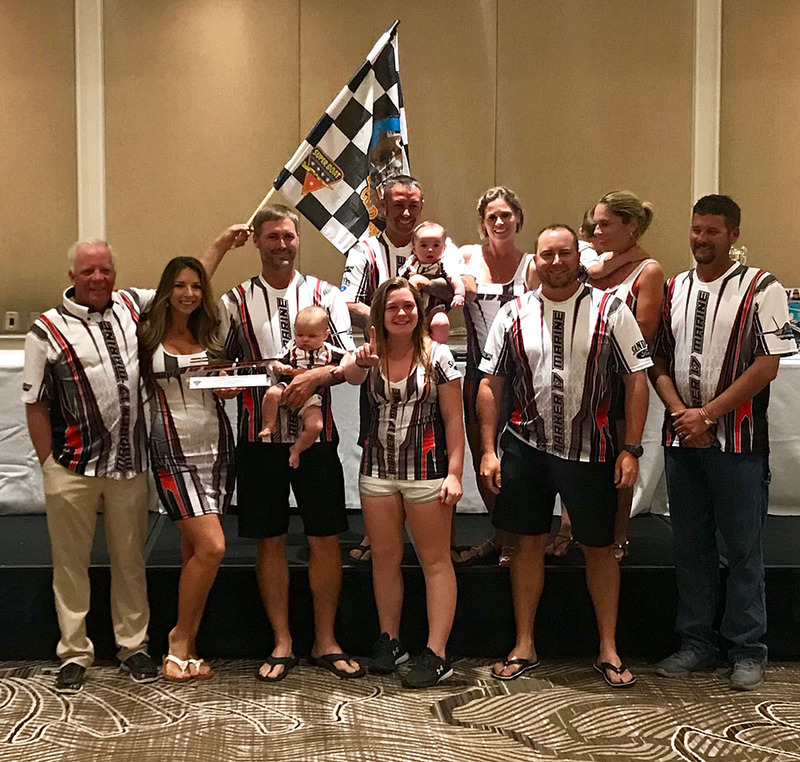 “We never lost faith, continued to improve, had a wedding, held dozens of team meetings and utilized resources from friends from around the world, which ultimately led to the team’s success and a correct prediction from our friends at Speedonthewater.com. And with that, Janssen moved on to his “easy” day job—performing spinal surgeries.